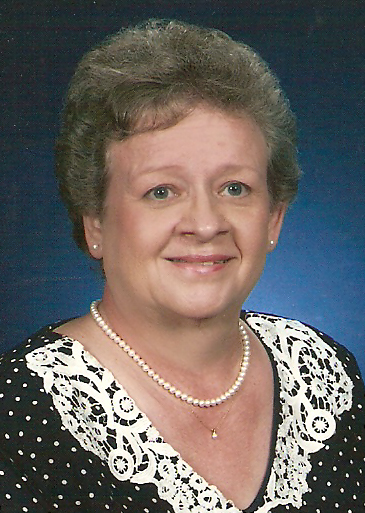 Jo Ann E. Kues, nee Dierkes, 57, of Germantown, and formerly of Highland died Monday, March 17, 2008 at her residence. She was born December 12, 1950 in Breese, IL to Clarence and Eugenia (Ortmann) Dierkes: they preceded her in death. Also preceded in death by father-in-law Richard Kues, brother-in-law Dennis Kues and nephew Clint Kues. She married Gary Kues June 2, 1972 at St. Boniface Church in Germantown and he survives in Germantown. Also Survivng are brothers Kenneth (friend Aggie) Dierkes of Walnut Hill, Larry (Sharon) Dierkes of Aviston, Garry (Cassie) Dierkes of Springfield, Allan (Betty) Dierkes of Germantown, Dale Dierkes of Germantown. A sister Donna (Rick) Sherman of Germantown. Mother-in-law Elvira Kues of Trenton. Brothers-in-law Robert (Linda) Kues of Bentonville AR, Larry (Karen) Kues of Bartelso and Allen (Mary) Kues of New Baden. A sister-in-law Wanda (Roger) Gildig of New Baden. Godchildren Brian Meyer, Carrie Albers, Kevin Dierkes, Nathan Dierkes, Sheila Dierkes, Corriene Sherman, Stevi-Jo Dierkes and Rylie Kues. Numerous nieces and nephews and great nieces and nephews. He beloved pets, Gizmo and Peanuts. Jo Ann was a certified Central Registered Tech at Memorial Hospital in Belleville, and worked 33 years in the Operating Room for St. Joseph Hospital in Breese. Member of St. Boniface Catholic Church in Germantown, Highland Knights of Columbus Ladies Auxiliary, Daughters of Isabella in Highland. Funeral Mass of Christian burial will be Wednesday March 19, 2008 at 11:00 am at St. Boniface Catholic Church in Germantown with Fr. James Buerster officiating Interment St. Boniface Cemetery. Visitation will be on Tuesday March 18 from 4 to 9 PM and on Wednesday March 19 from 8 to10:45 am the Moss Funeral Home in Germantown. Memorials can be made to Hospice of Southern Illinois or Donor’s Choice and will be received at the funeral home. Daughters of Isabella will pray the rosary Tuesday at 5:30 PM at the funeral home.